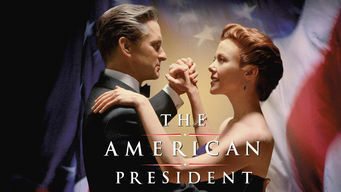 How to watch The American President (1995) on Netflix South Africa! Sorry, The American President is not available on South African Netflix. We check Netflix hundreds of times a day, so you can check back regularly to see when it appears for streaming. Even though this isn't available, did you know there are thousands of additional movies and shows you can watch by changing your Netflix country? Don't miss out! We'll keep checking Netflix South Africa for The American President, and this page will be updated with any changes. The widowed president strikes up a romance with a beautiful Washington lobbyist -- but can the couple keep their private and political lives separate? He's president of the United States, but keeping his girlfriend and congress happy might be more than he can handle.